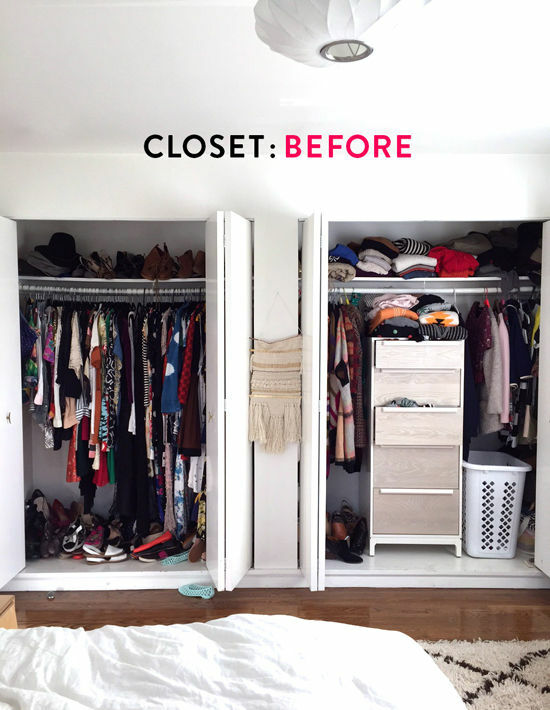 D E S I G N L O V E F E S T » CLOSET MAKEOVER! “I also noticed that Bri was using the tall dresser to store skirts. I knew that if we got rid of the dresser, we could gain some space and hang the skirts which would open the closet up and make her belongings more accessible. 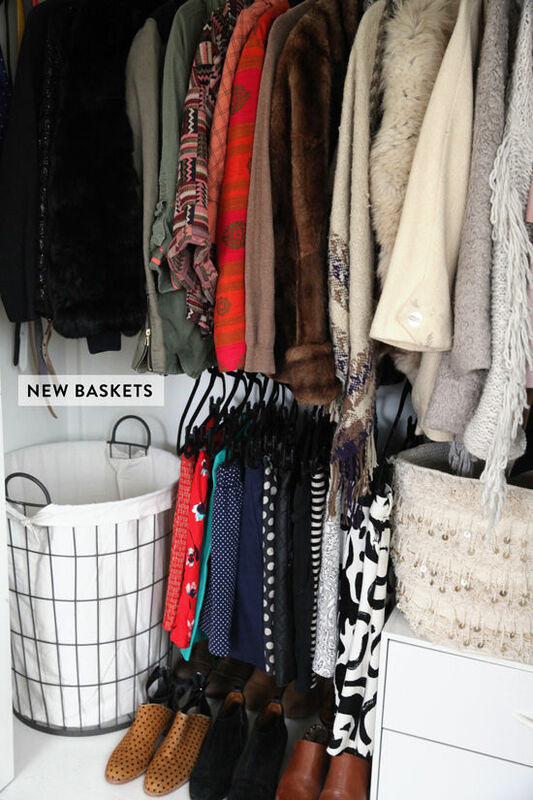 In order to maximize vertical space, we put to use a closet rod extender which works perfectly for hanging her cute skirts. 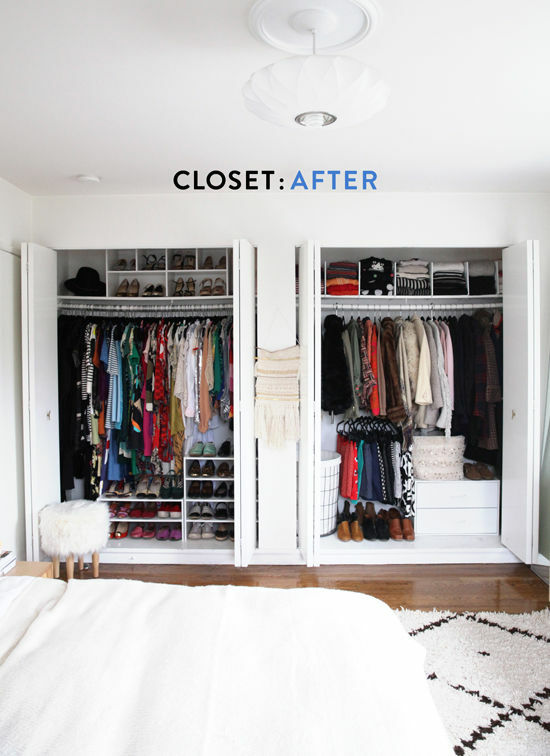 Closet rod extenders instantly create another rod in the closet which allows you to store blouses, skirts and shorter length garments. This closet rod can be expanded width-wise and height-wise allowing you to customize your closet. Again, because it’s winter right now, the coats are super easy to get to and access. Once summer rolls around, these coats can get moved to a less-often used closet or stored more towards the sides of the closet (which would make room for summer layers). we also added a step stool to access the top shelve and two new basket (wire and moroccan wedding basket). 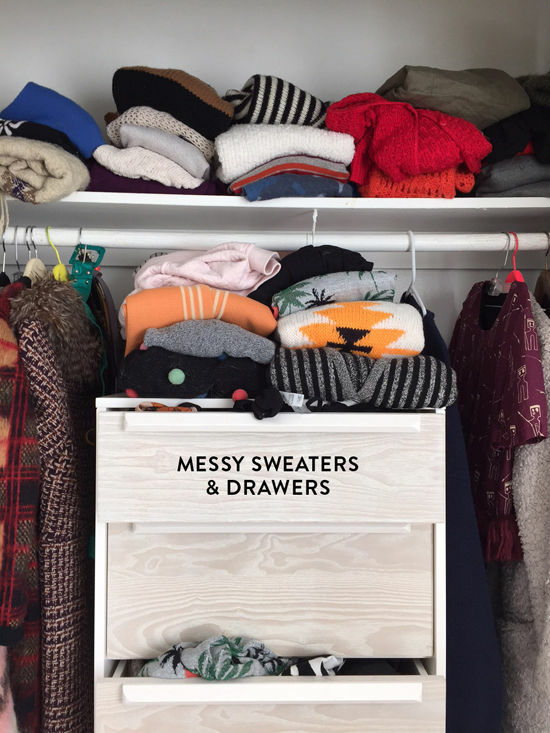 Instead of having a tall drawer unit which blocks harder to reach spots on the side of the closet, we opted for a 2-drawer unit to store other categories of clothes (shorts and undergarments). Next, we organized her dresses by color as well as her blouses (I often organize clothing going from dark to light) and if you want to be hyper organized, you can organize within the color coordination by type (i.e. ; All black dresses together going from long sleeve to short sleeve to sleeveless). 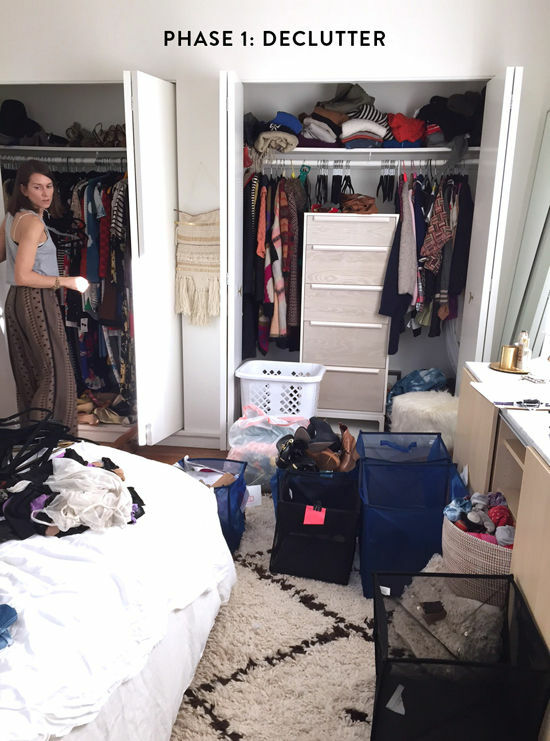 you also might want to consider moving out any clothes that you don’t wear that often (we’ve already mentioned seasonal clothes but another category that might be relocated would be formal dresses and shoes). ta-da! 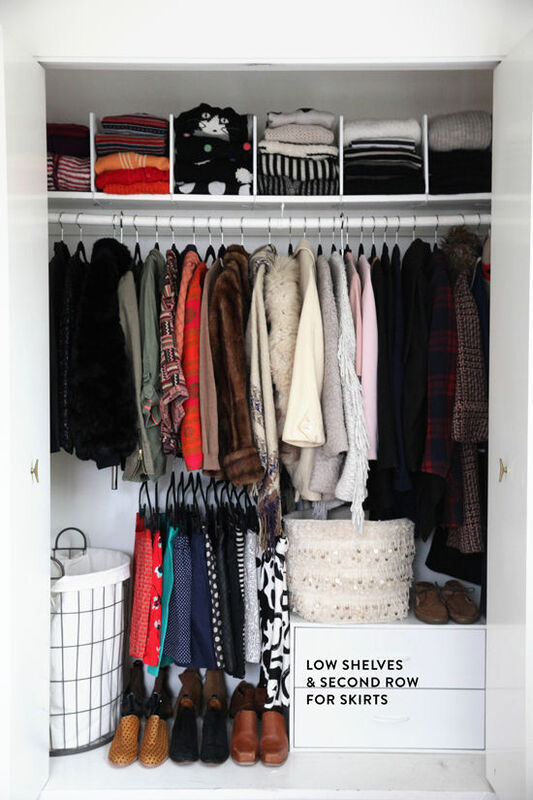 it’s amazing what a difference a little organization and space utilization can make. thanks to elizabeth for making my morning routine so much less stressful! i can’t believe this is really my closet now. i feel so adult. haha! Looks great. 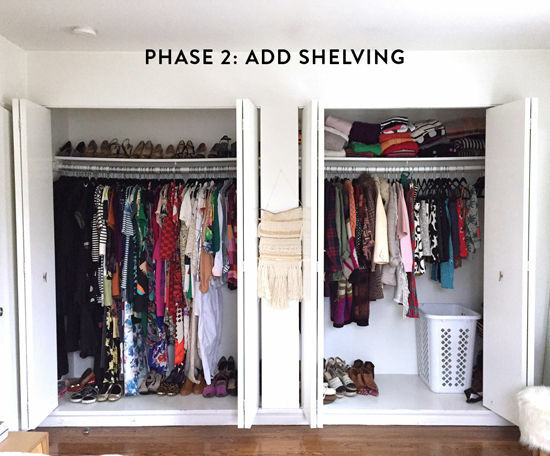 You showed us how organization and space utilization can make a great difference. I have got a custom built closet for my bedroom in toronto ( http://www.gtaclosets.com/living-room-bedroom/walk-in-closets/ ) as a part of home remodeling. 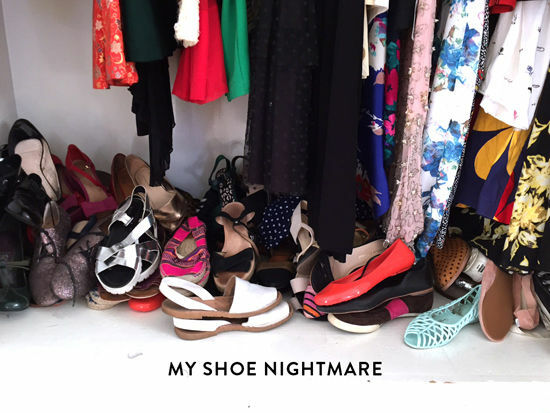 Now I want to light up the closet space and I am spending a lot of time searching for the right one what I exactly need. Can anyone suggest me a better option with the method of perfect lightning? Thank you in advance.